Yiwu wholesale caps have many advantages that you are worth to go to the Yiwu market and have a look. As well known the international city of its commodity trade business, it attracts suppliers from all of the country becoming the Yiwu wholesale caps market. On the second floor of the yiwu international trade city district4, there are all kinds of the Yiwu wholesale caps and you can visit one by one to find the best ones. There also some booths spread in this area. You can find the spot caps, fashion caps and party ones. Moreover you can find new and interesting items such the cap with led light changing according to the music or the sound. It is really cool, isn’t it? In a word, Yiwu wholesale caps will never let you down. 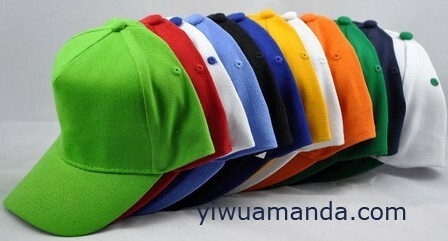 If you need more information of the Yiwu wholesale caps, please contact us freely. A good advice to you for a good time of the sourcing trip in the yiwu market is that a yiwu agent will help you a lot.